Founded in 1983, the Fermilab Theoretical Astrophysics Group consists of researchers who work at the confluence of astrophysics, cosmology, and particle physics. Since its inception, the group has prepared well over 1000 papers for publication. As the field of particle-astrophysics rapidly develops, we are witnessing an exciting time in the history of science. In addition to the progress being made in the traditional areas of experimental particle physics (accelerator experiments), astrophysical experiments are being increasingly used to study the phenomena of elementary particles. A striking example of this success has been the measurement of neutrino masses and mixing angles over the last two decades. More recently, the observation that the universe is expanding at an accelerating rate has fueled a great deal of research in the topic of dark energy. This, along with advances in areas including dark matter, cosmic rays, the cosmic microwave background, large scale structure, neutrino astronomy, gamma-ray astronomy, and axion astrophysics, has enabled this once modest sub-field to become of the most important and active areas of particle physics research. Fermilab’s Theoretical Astrophysics Group has played a key role in the development of this exciting sub-field and continues to be deeply involved in the connection between particle physics and astrophysics. Nowhere is the connection between particle physics and astrophysics more evident than in the area of dark matter. Currently, the only evidence for dark matter comes from its gravitational interactions and, consequently, little is known about its particle nature. 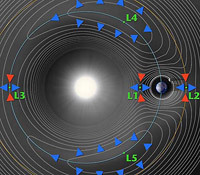 As astrophysical direct and indirect detection efforts develop, however, it may very well become possible to study the interactions and other properties of these particles. Furthermore, it may be possible to produce and study dark matter particles in collider experiments, such as the Large Hadron Collider. These efforts collectively represent a major thrust of research at Fermilab. A large portion of the group’s research also includes simulations of various observable probes of cosmology, including large scale structure, galaxy clusters, supermassive black holes, gravitational lensing, and the Sunyaev-Zeldovich effects. These produce observable signatures that depend on the cosmological model that governs the underlying properties of the universe, and can in principal be used to extract information about fundamental physics. The simulations are then used to test signal extraction algorithms in the presence of simulated cosmological foregrounds and instrument effects that mimic some of the obstacles that observations must overcome in the real world. In additional to the research of its individual members, the Theoretical Astrophysics Group also organizes several types of events to facilitate collaboration and communication. Seminars from visiting researchers are held weekly, who are then encouraged to stay for longer visits. Another example is ‘Munch’, a weekly informal discussion of the most interesting recent articles posted on the arXiv server. There have also been journal clubs to focus on one particular research development, and several conferences and workshops dedicated to intense study of a field.